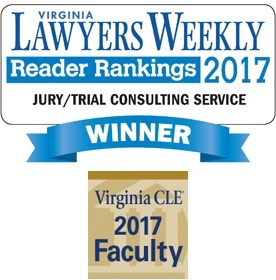 Jeffrey T. Frederick, Ph.D., Director of Jury Research Services for NLRG, consults with attorneys on jury selection, venue, case preparation, and trial presentation issues. He is a frequent speaker across the nation, and has written many resources and publications listed here. Director, Jury Research Services, National Legal Research Group, Inc. Improve your effectiveness and gain an advantage in jury selection. 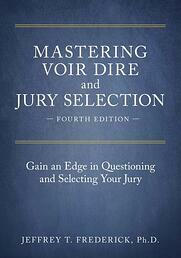 This much anticipated and expanded 4th edition by one of the nation's most experienced trial consultants goes beyond other books on jury selection and focuses on the skills needed to conduct effective voir dire and jury selection, ultimately improving your chances of a favorable verdict at trial. This valuable guide will help you understand effective voir dire and jury selection strategies and adapt them to the unique circumstances you face in your trial jurisdiction.